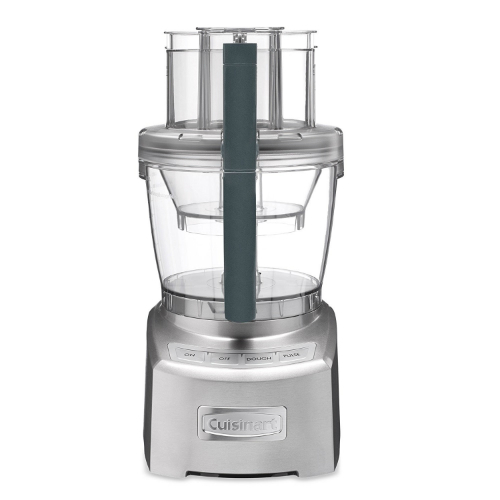 The Cuisinart Elite Collection 2.0 14 Cup Food Processor is a machine of groundbreaking performance and durability. The food processor comes with an innovative design solutions that includes a 4½ cup work bowl nested inside the 14 cup bowl, adjustable slicing disc, and a reversible shredding disc. The SealTight™ Advantage System keeps the kitchen counters clean from spills whether mixing, processing, or pouring. The removable parts are all dishwasher safe. The 14 Cup Food Processor has many exciting features for users of all types. You can extend the lifetime of your 14 Cup Food Processor with the purchase of a FactoryOutletStore Factory Protection Plan. 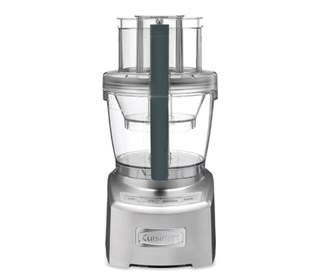 See the 14 Cup Food Processor product video and gallery images above for more details. The 14 Cup Food Processor is sold as a Brand New Unopened Item.